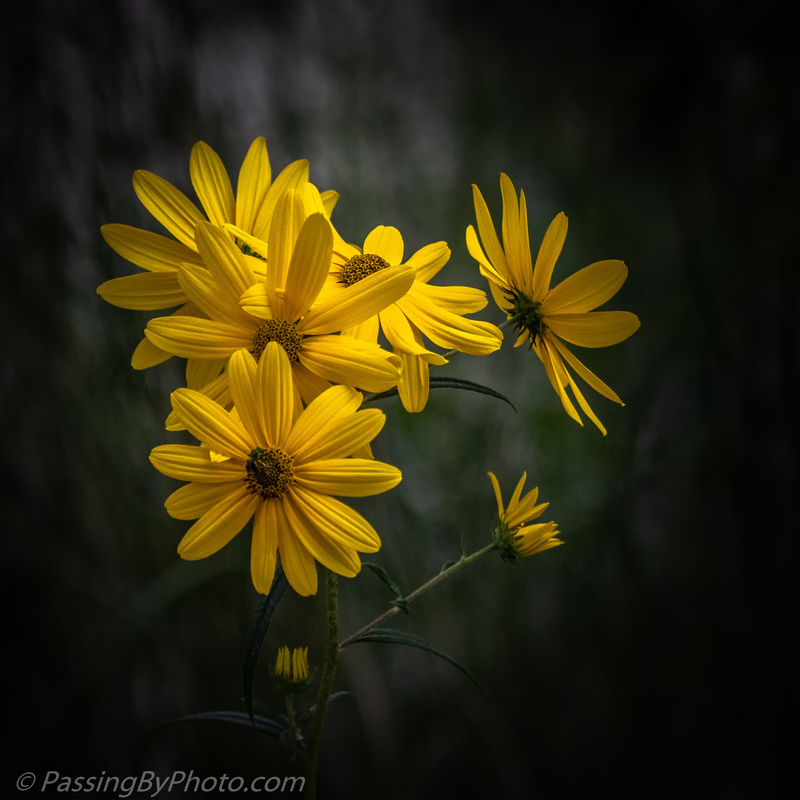 This has been a banner season for Swamp Sunflowers, I see them thriving all around the wildlife areas I frequent. Surprisingly, despite many of the plants being over 5 ft (1.5 Meters) tall they have not been beaten down by our recent rain and wind storms. What’s the background? It almost looks like backdrop. The background was vegetation that was down a bank behind this grouping and some dappled light. I played with the highlights and shadows to smooth it out a bit.